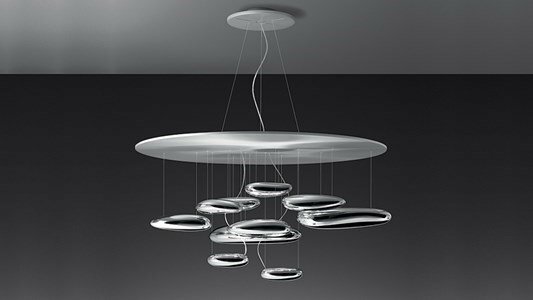 A modern designed sculpture that will bring light and elegance to your home! During the day, it works as a sculpture reflecting the natural light dynamics, and the circulation of surrounding people. The reflecting units are made of a thermoplastic material with metal coating.